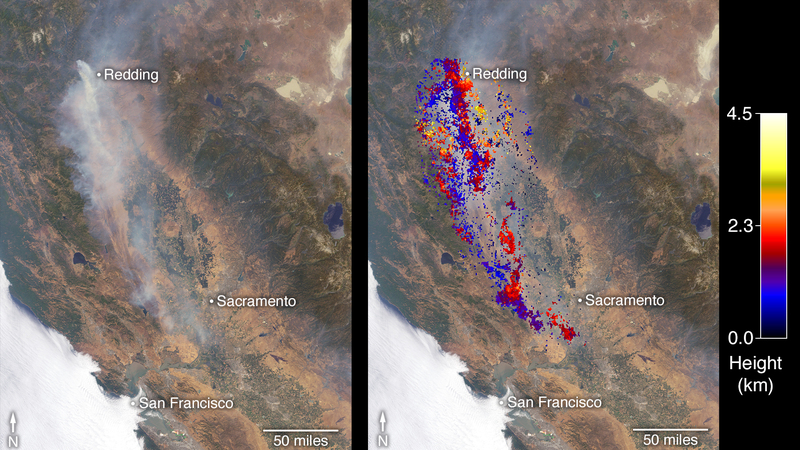 The Multi-angle Imaging SpectroRadiometer (MISR) instrument on NASA's Terra satellite took these images of the Carr Fire (left) and the Ferguson Fire (right) on July 27 and July 29, respectively. 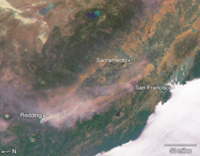 The Carr Fire, which has been burning near Redding, California since July 23, spanned 110,154 acres as of July 31 and was 27 percent contained. 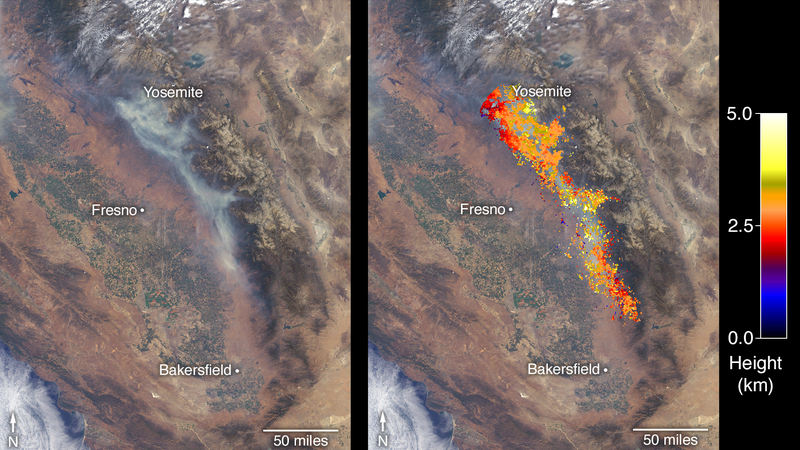 The Ferguson Fire, near Yosemite National Park, spanned 57,846 acres as of July 31 and was 33 percent contained. Figure 1 shows the Carr Fire near Redding California on July 27 as observed by NASA's MISR instrument. The angular information from MISR's images is used to calculate the height of the smoke plume. The results are superimposed on the image on the right. The Carr Fire has been burning since July 23. As of July 31, it spanned 110,154 acres and was 27 percent contained. Figure 2 shows the Ferguson Fire near Yosemite National Park on July 29 as observed by NASA's MISR instrument. The angular information from MISR's images is used to calculate the height of the smoke plume. The results are superimposed on the image on the right. The Ferguson Fire started on July 13 in the Sierra National Forest. As of July 31, it spanned 57,846 acres and was 33 percent contained. Figure 3 is a stereo anaglyph of the Carr Fire produced using data from the MISR instrument aboard NASA's Terra satellite. It shows a three-dimensional view of the plume visible through red-blue 3D glasses (with the red lens over the left eye). 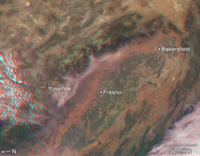 Figure 4 is a stereo anaglyph of the Ferguson Fire produced using data from the MISR instrument aboard NASA's Terra satellite. It shows a three-dimensional view of the plume visible through red-blue 3D glasses (with the red lens over the left eye). These data were acquired during Terra orbit 98973 and 99002. The smoke plume height calculation was performed using the MISR INteractive eXplorer (MINX) software tool, which is publicly available at https://github.com/nasa/MINX. The MISR Plume Height Project maintains a database of global smoke plume heights, accessible at https://www-misr.jpl.nasa.gov/getData/accessData/MisrMinxPlumes2/. MISR was built and is managed by NASA's Jet Propulsion Laboratory, Pasadena, California, for NASA's Science Mission Directorate, Washington, D.C. The Terra spacecraft is managed by NASA's Goddard Space Flight Center, Greenbelt, Maryland. The MISR data were obtained from the NASA Langley Research Center Atmospheric Science Data Center, Hampton, Virginia. JPL is a division of Caltech in Pasadena.